Do you have a busy location with intense traffic in New York or else in the US? Choose our full-service vending solution to a seamless local vending operation without the need of any skills or time. Starting your own vending service in the US with no effort has never been easier. IntelFoods offers comprehensive full-service solutions to companies that want to start making revenue from their location while providing any type of products their customers want. The reputable vending service company in New York City, we are the vending machine business you can trust for your vending machine needs in the USA. WHY DO YOU NEED A FULL VENDING SERVICE? 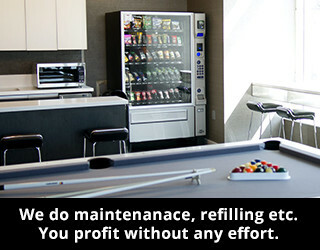 First, let’s make it clear – we take care of everything around your vending machines, including full maintenance, cleaning, filling, administrative support, stacking your machines with your selected products on time and more. Next to all of this, all equipment and services come at NO COST to you. You profit without any effort on your side. We take care of everything else so that you can profit. More and more USA businesses realize the potential of NY healthy vending machine services and the benefits for their employees. What’s even better, with our full-service vending solutions, businesses don’t even need expertise or time to get it all set up! Do you own a business or are you a part of one? See how you venue can profit from a high-tech vending machine. You may not have a lot of space in your venue to place a large vending machine. That’s when we come in – we offer machines of all sizes, from large vending machines holding more product at a time, to smaller vending machines that fit in locations with less space. 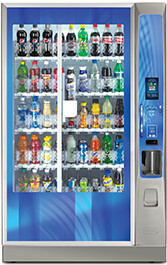 You can find suitable vending machines for offices, sports events, gyms, dance studios. 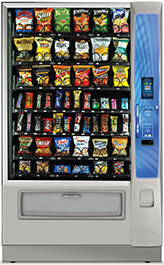 We are supplying hospitals, nursing homes and hotels with vending machines. Have you got a similar business or something completely different? We can help you with a free consultation and a signing bonus to get started at the value of $500. To learn more and possibly get started, call us at (800) 915-9643. We are supplying vending machine services not only to New York business but to companies all over the United States of America. We noticed that vending services are most effective when the machines are high-tech (better at attractive customers with their look and functionality) and durable, with no downtime. Fortunately, our USA full-service vending machine solutions include filling up your vending machine on time, keeping it stocked with what you need all the time. You do not have to spend a minute in maintenance or anything else for your machine, we will do it all for you. Call us at (800) 915-9643 to get started.